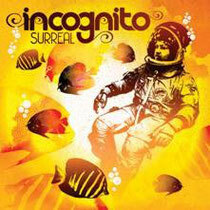 ‘Surreal’ is the new album from the UK soul/funk/jazz band, Incognito, which will be released on April 16th on Dome Records. It’s one of the band’s freshest, most creative albums and sees the addition to their line-up of two outstanding new vocalists in Natalie Williams, UK jazz scene luminary, and 26-year-old German-born singer-songwriter Mo Brandis. The album is a collection of songs over a bed of fluid basslines and drum grooves, and reflects the energy of the band’s live shows, while adding a raw edge to their customary studio production. 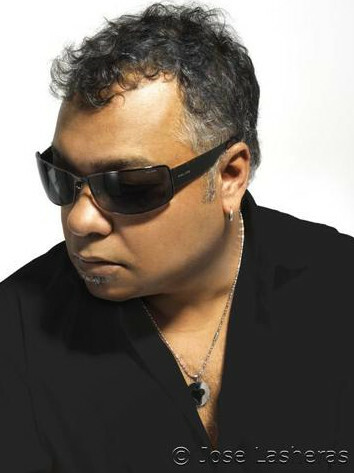 The album’s opener, the funky, bass-driven ‘The Less You Know’ - written by Bluey with the band’s bass player Francis Hylton - is vocalled by Maysa, described by Bluey as “my awesome musical muse”. The US singer, who first featured with Incognito on their 1992 set ‘Tribes Vibes & Scribes’, also contributes a beautiful performance on ‘Capricorn Sun’, with its bubbling, rhythmic groove, which Bluey “wrote on my guitar after reflecting on a friend’s ongoing battles with his Capricorn partner”. Long-time Incognito fans will be happy that there are two driving instrumentals present – ‘Rivers On The Sun’ and ‘Thoughtful Fantasies’, the latter continuing Bluey’s passion for Brazilian jazz funk with all horns blazing, and percussion breaks.